Hamilton May proudly presents a unique, luxurious apartment in a prestigious building - Miodowa 33. Hamilton May presents a one bedroom apartment in a newly renovated townhouse with an elevator at Morawskiego street. Hamilton May is proud to present a luxurious two bedroom apartment located in the prestigious Miodowa 33 building in the heart of the Jewish district of Kazimierz. Hamilton May offers for rent 1-bedroom, loft-style apartment in the heart of Kazimierz area. A stunning apartment situated on the 2nd floor of the modern high standard "garden building" on ul. Skawinska in Kazimierz, close to the boulevards of the Wisla River. A stunning apartment situated on the first floor of the modern high standard "garden building" on Skawinska Street in Kazimierz, close to the boulevards of the Vistula River. Hamilton May presents a 2-room apartment in the luxurious Vis-a-Vis development in the very center of the Old Dębniki neighborhood with a private terrace. Hamilton May presents a brand new one bedroom apartment in a newly built development at Wawrzynca 21 in Kazimierz. Hamilton May presents a unique apartment offered for rent at Józefa street, in the Kazimierz district. Hamilton May specializes in high quality city centre property and is pleased to offer a selection of up to date rental listings in Krakow’s Jewish district of Kazimierz. Rental prices of apartments in Krakow’s Jewish district of Kazimierz will depend on the type and standard of the building as well as location. Apartments on the busy high streets of Kazimierz are less attractive due to noise than apartments on quieter streets, and so will be cheaper. Apartments in new build and renovated buildings generally achieve the best rental prices, particularly when secure parking is available. There is a general shortage of supply of good quality rental apartments in Krakow’s Jewish district of Kazimierz and high standard rental offers find tenants quickly. As with any international city, there is a mixture of both foreign owners and local landlords offering both furnished and unfurnished apartments for rent. There is a large concentration of foreign tenants, including many international students living in Kazimierz. Rent prices to vary through the year, so please view our current listings of apartments for rent in the Old town to access the current market prices. Real estate in Krakow’s Jewish district of Kazimierz is characterized by old tenement or town house style buildings (in Polish, ‘kamienica’), some in a poor state of repair, others fully renovated. New build property is as dispersed throughout Kazimierz although it is less common and more in demand when available because of the lack of supply. 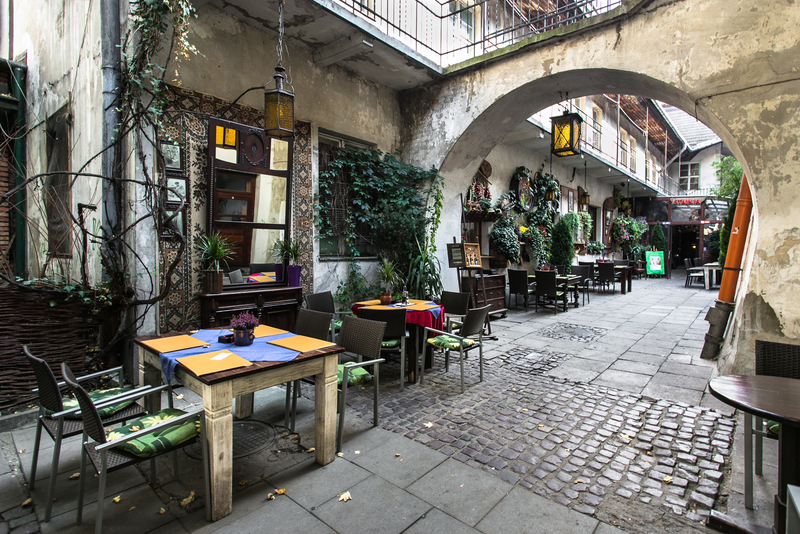 There are some very pretty pockets of Kazimierz, particularly the streets closest to the banks of the Vistula River. Because of the historic nature of Krakow’s Jewish district, parking is relatively limited and a significant premium is associated with any property with parking, particularly when it is secure or in underground garages, so availability of a garage should be taken into consideration if you wish to rent an apartment with parking.